New York, N.Y. Speaking broadly, we don’t appreciate Bollywood because we don’t understand it. We fail to grasp it not for any intellectual flaw, but for a major cultural one: we didn’t grow up in India. The biggest point to absorb to better get Bollywood is that Indian cinema is both sophisticated and unique. Films began to be made in India in the 1890’s, at the same time as film was being created in France. Indian glamour: Actor Zoran Saher, Sneha Shah, and Kawas Bhasin. Photo: Kabir Chopra. Bollywood has a bad rap in the U.S., known mostly for exaggerated song and dance. It is so much more, I have learned. Indian films are a once-in-a-lifetime experience. It is an integral part of Indian life. It has been described as a cinema that heals. It is also the largest film industry in the world. In the past I have interviewed Indian film personalities actor Shah Rukh Khan and directorsMira Nair and Mani Ratnam, as well as reviewed specific Indian films such as Chittagong. 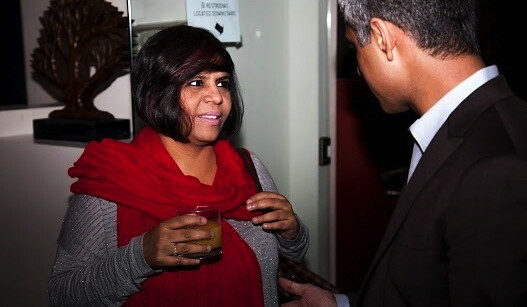 Indian director Anuraadha Tewari with actor Anand Kumar. Photo: Kabir Chopra. Indian film is based on an iconography deeply rooted in the Indian soil with Hindu, Muslim, Buddhist and Christian references. Indian film is often a melodrama wrapped in joy and hope – celebrating the positivity of life. If an actor appears with a peacock feather, the Indian viewer understands a connection to Vishnu. With a snake around his neck, the native viewer thinks of Shiva. Such visual images and references are understood by Indian audiences. 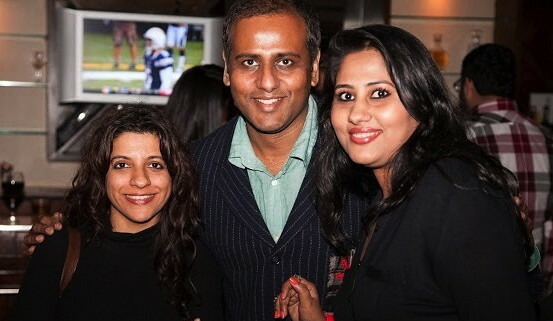 Zoya Akhtar, Ajay Shrivastav, and Kiren Shrivastav. Photo: Kabir Chopra. Madhur Bhandarkar. National Award-winner for Best Director for and director of National Award-winning movies Chandni Bar (Tabu), Page 3, and Fashion (Priyanka Chopra). Bhandarkar has also released the most-awaited movie of the year, Heroine(Kareena Kapoor, Arjun Rampal). Imtiaz Ali. Nominated for Best Director for recent super hit Rockstar (Ranbir Kapoor) and 2007’s Jab We Met (Shahid Kapur & Kareena Kapoor). Imtiaz also directed Love Aaj Kal and Socha Na Tha. 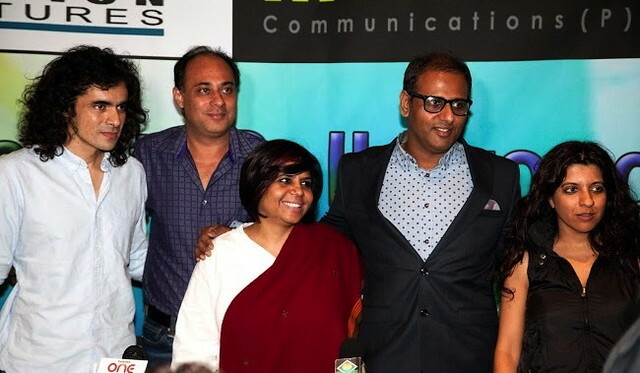 Most recently, Imtiaz wrote the script for Cocktail (Saif Ali Khan, Deepika Padukone). Anuraadha Tewari. Gold Medalist for Direction from Jamia Millia Islamia, New Delhi, and scriptwriter of Fashion, Jail, and the more recent Heroine. Our films have gone beyond the Bollywood that portrayed couples ‘fake’ kissing surreptitiously behind trees or having arranged marriages because they had no choice. This young crop of directors and writers is capturing the ‘truest’ sense of what it means to grow up Indian in a global world, and we are thrilled to be presenting all of them together for the first time in the United States during the 100th year of Indian cinema. My own growing appreciation for Bollywood is in direct proportion to my understanding. Many of my Asian friends don’t get why I laugh listening to Jeff Foxworthy’s Blue Collar Comedy Tour. Sure, Bollywood has its share of exaggerated song and dance. ‘Redneck’ humor can be as homophobic and misogynist as Rap. 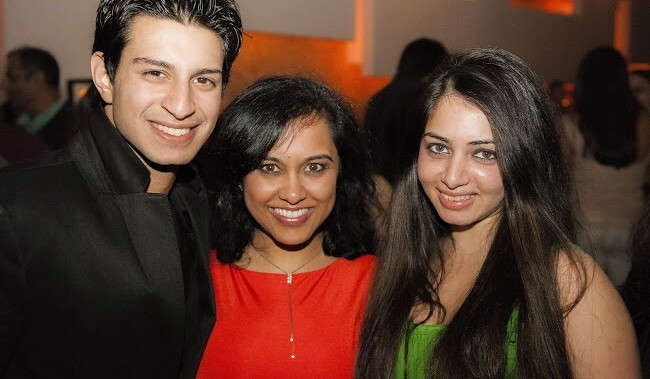 But all are so much more.I have enjoyed getting to know Shah Rukh Khan, Mira Nair and Mani Ratnam here in the U.S. and look forward to being in India again to learn even more about Indian cinema – and especially Bollywood. To try to better appreciate the rich iconography deeply rooted in the Indian soil. Luckily, as I will never be Indian, Bollywood continues to become more global. Originally published in The Daily Kos, May 12, 2013.